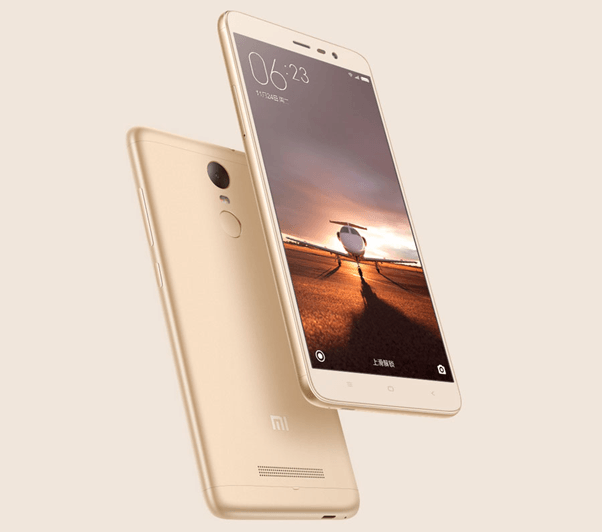 The Xiaomi Redmi 3 Gold is a new version smart phone, the Android 5.1.1 Lollipop. The gold colour of this smart phone adds a bling to your personality. It is not just stylish in its appearance and outlook but it also beautifully poised. Packed with high-resolution camera features, excessive expandable memory space and desirable battery life, this product is best described by only one word, ‘fine’. The display of this smart phone is ideal for those users who want visual clarity and smooth display of videos. The Xiaomi Redmi 3 Gold is 5 inches and allows high-definition visibility of images and videos on it. It works on a Qualcomm Snapdragon processor with 2GB RAM that speeds up the tasking of the smart phone. The smart phone can also multi-task due to its high performance capabilities. Due to Adreno 405 GPU, it can back up graphics well and lead way for playing high-end games to the game lovers. Its interesting and user0friendly configurations surely going to make it a big market hit on its release. The connectivity features of this smart phone have been made advanced for better sharing and transferring of data. It has Bluetooth, GPS and also Wi-Fi as one of the main features of the phone. It also supports two sim that you might need for both personal and work needs. You can use the USB function and also enjoy the new mobile hotspot feature as well. The 3G and 4G network connectivity options makes you have a pleasurable experience browsing the web and enjoy the call quality too. These days smart phones are used as mini-tablets to keep informant, data and important files handy. This pone is ideal for the new-age users as it has got an in-built memory of 16 GB and can be expandable up to 128GB too for your convenience. If you are looking for a phone with quality sound soothing to the ears, this phone is the best pick for you. Loaded with brilliant sound quality speakers, you can now enjoy listening to songs whenever you want. It offers an impeccable battery life with a power of 4100 mAh. No matter how much you use, it wouldn’t exhaust even after a full whole day. It is that powerful. After its launch browse through the Shopclues coupons and get yourself the Xiaomi Redmi 3 Gold which is just perfect without worrying about its price. The 13MP rear camera of the Xiaomi Redmi 3 Gold smart phone lets you click spectacular pictures and some candid shots too. You can adjust some unique features offered by the smart phone such as the white balance, ISO and panorama modes. The excellently designed Xiaomi Redmi 3 Gold is truly an amazing phone in respects of high-performance software, great long lasting battery life, faster processor and a finger print reader. It will be released on an expected date of 2 June 2016 which is quite nearing. In order to grab Xiaomi Redmi 3 Gold in discounted price just on its release you can apply the Askmebazaar offers and avail huge discounts. You just can’t get a better deal than this. So simply grab it!